An acquaintance applied for a National Statistics Office (NSO) Birth Certificate delivery service online at their website, and I just wanna share on this blog entry how it went. So, how much does the NSO birth certificate delivery service cost? 330 pesos is charged for each copy of an NSO birth certificate. This already includes delivery charge. Please note that processing is 2 – 3 working days after payment. So it is best to pay soon after getting the reference number. Now I’ll talk about the experience with NSO’s delivery service. It might give people curious about the process/sytem some idea how it goes. There are two options: Call 737-1111 or do a live chat with a Customer Care Officer. If you prefer typing over speaking to an NSO representative, I suggest you for the live chat. Question: Was this certificate applied for previously from the NSO? Question: Was there any correction or legal proceedings like adoption, legitimation, or court hearing? Question: Was the birth late registered? Question: Was there any endorsement done on the certificate? After filling all the info above, you will have to wait for an NSO representative who is available to assist you with your NSO birth certificate delivery request. Depending on the availability of the NSO customer care officers, you will have to wait about 5-10 minutes. The representative might as you to hold for a moment as your application is verified. It can take around 3 minutes. Is the delivery address you provide your residential address? If it is your first time to request an NSO birth certificate after the legal proceeding, the application should be done at NSO Main office which is located in East Avenue. This is to make sure that the copy you’ll get is the one with REMARKS/ANNOTATION of legitimation already. To the left of the chat window is your online application form. Check all the information entered on that form. If anything is incorrect, ask the NSO representative to amend it. This application is now ready for submission. Please review the Application Form and click Accept when ready. Please take note of your reference number. 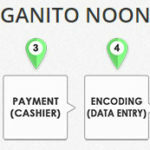 You may pay online using your Credit Card or Bancnet, please go to http://nso.citizenservices.com.ph/pay/online. You may also pay at any Metrobank branch. Processing is 2 – 3 working days after payment. Please present one valid original ID to 2GO upon delivery. If not available, recipient should leave an Authorization Letter and one original valid ID to the authorized representative with valid ID as well. Delivery for residential areas is Monday to Saturday from 9am to 7pm. To check status of application, you may visit our website anytime. Please settle the amount for immediate processing of application. Thank you. UPDATE (June 28, 2013): I ordered a copy of NSO Birth Certificate for my mother last Friday, June 21, and paid for it around 2PM. The posting of the payment was done the next day, Saturday. On Monday, June 24, the request was submitted to NSO for processing. The NSO-authenticated birth certificate was delivered to us on Tuesday. That was very fast! Delivery was done a day before earliest expected time. Hi, Any update with this one? I’m actually curious about this. Thanks! Pls I want to request to get a copy for my birth certificate.can u give me madam, sir! ?im here at hong kong now!!! I need immediately!!! Just tell me for how to pay thankz!!! I find the charge to expensive, especially if i will request four certificates. how much it will cost in securing late registered birth certificate? maam how much if im just going to wait for it in NSO office? Maybe you can find answers to your questions too. ..ANU PO MGA REQUIREMENTS PRA MAKAKUHA NG NSO COPY OF BIRTH CERTIFICATE..? 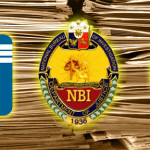 anu pu ang mga requirements para po makakuha ng birth certificate copy sa NSO? What if the first copy of my NSO Birth Certificate is lost, can i get another copy of it again? Ma’am ask kolang po pano po ang pag correct ng isang letter lang nman po dapat po yung F is letter P matagal poba ang pag aayus ng birthcert? ang how much po ang cost nito? thanks.